When people are displaced by war or natural disaster, they’re more often than not housed in lightweight shelters that offer a temporary solution to the problem. There are lots of innovative disaster relief shelters on the market that are trying to make this a more comfortable, affordable and practical experience, but what happens if another disaster hits? This is particularly pertinent in hurricane-prone regions, and few disaster relief shelters have the capacity to withstand strong winds. One such shelter is the Hush2. Extremis Technology has addressed this issue and come up with a portable shelter that can withstand Category 5 winds up to 200 miles an hour. Not only that, but the design can be flat-packed for easy transportation and built within a couple of hours using no tools or skilled labor. So what exactly is the Hush2 and who are the innovators behind it? The Hush2 is a newly-designed humanitarian family shelter, specifically engineered to withstand Category 5 hurricane winds. Its innovative design makes it far more robust than your average hurricane relief shelter and its portability allows it to be accessed by the people who need it most. One of the biggest advantages of the Hush2 is that it can be built and ready to live in within two hours and does not require a concrete base (which adds significant cost and practical challenges to providing disaster relief housing). It also doesn’t need special tools or skilled labor to erect, meaning that communities can build the Hush2 themselves when and where they need housing. It’s simple ground fixing system allows it to be locked in place easily and taken down as needed, avoiding the issues which can arise with land use requirements and long-term housing solutions. Ideally it’s designed for refugees or those impacted by natural disasters during that transitional phase when they want to get out of tents, but are yet to have permanent housing available for the long-term future. It measures 4.3 square meters in area and to a height of 2.4 meters, allowing its occupants to stand quite comfortably. It is made from marine plywood that can be enhanced in the future using local materials and can be flat-packed for shipment. The Hush2 is split into two compartments that can be used as separate living and sleeping quarters, and its modular design enables it to be easily combined to create larger buildings for community use, such as schools or health centers. A heat deflection coating helps to control temperature within the shelter and its materials naturally reduce noise levels, offering an added level of privacy not often available in disaster relief housing. Water purification and solar cooking facilities can be installed within the setup, and once its occupants have found a more permanent housing solution, the Hush2c can be repurposed into something else. The Hush2 is designed as a rectangular building with a pitched roof, but it can be quickly reconfigured into a “storm-safe position”. Its built-in wall hinges allow it to be easily folded down into a far more sturdy prism shape (in as little as 7 minutes! ), or folded diagonally inwards to create a triangular shape. Both resist the impacts of heavy winds and offer a little extra protection. This setup also reinforces the doors and windows, and although the internal space is reduced, the floor space isn’t altered. Who is behind the Hush2? 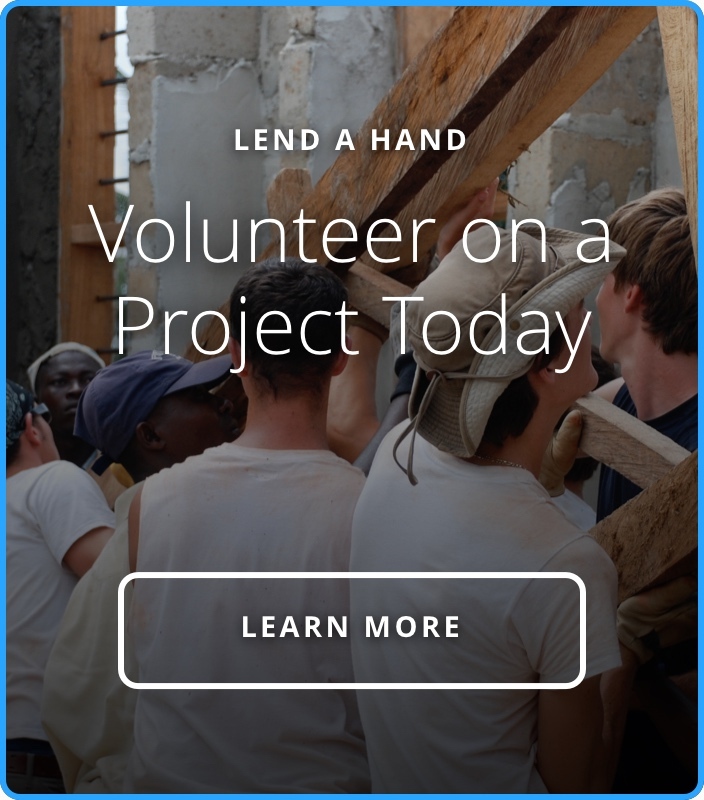 Extremis Technology is the organization behind the Hush2, which they designed to help restore dignity to people impacted by war and natural disasters. They are based just to the north of London and comprise a team of engineers and entrepreneurs, dedicated to finding new and innovative ways to ensure people who are affected can be in secure shelter as quickly as possible. Their motto is “engineering solutions for a displaced world”, taking in all of the practical challenges that these situations face. Their first disaster relief shelter was the Hush1, built for areas not prone to hurricane force winds. It is designed for families of 4-6 people and can be mounted onto seismic isolators to provide some protection in earthquake zones. Another benefit of the design was that the cladding could be adapted, depending on the local climatic conditions or cultural requirements. The Hush2, however, is a more robust version, and its ability to withstand Category 5 hurricane force winds sets it apart from any other disaster relief shelter currently on the market (). The idea was developed by Extremis Technology after the devastating Haiti earthquake in 2010, with Chairman Mark Aspinall explaining: “We were looking for something that could be deployed really quickly (minutes rather than days), didn’t require tools and didn’t have any separate parts.” They also wanted it to fold flat so that it didn’t take up unnecessary space during transportation to disaster affected areas. Their idea was that small clusters of disaster relief shelters could be set up, creating an all-important sense of community and empowerment during what can often be a very traumatic time. Extremis Technology has been raising funds through private investors and crowd funding to take the Hush2 to a commercial level. After a test deployment in Cornwall during 2014, the team planned to send the Hush2 out to Nepal following the devastating earthquake of 2015, as well as to the Dominican Republic to really put its hurricane resistance to the test. While there are other disaster relief shelters on the market that have quicker assembly times than the Hush2, it is the robust nature of this design and its hurricane-withstanding properties that make it a real standout. It offers those affected by natural disaster or war a safer and more comfortable alternative during transitional periods, with a sustainable design that allows it to be used well into the long term future.